The 75 carriages have had a luxury makeover and will now offer en-suite double rooms for the first time. 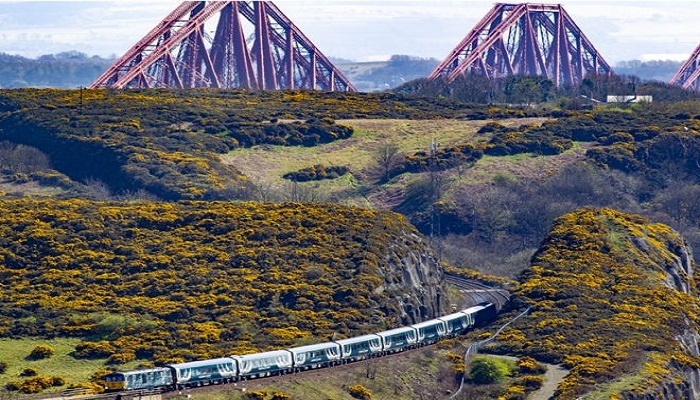 The Caledonian sleeper, which has been running in various forms since 1873, is now operated by Serco on behalf of Transport Scotland. Its new carriages are bespoke and designed for Caledonian Sleeper from scratch. "So it's no longer a transactional, overnight thing where you're not going to get a great sleep or a great breakfast. We want to be the best at every single step of the journey." In the past, passengers have complained of being woken by a shunt when two sections of the train coupled together at Carstairs. But the operators say the addition of 150 Dellner couplers will be a "dream" development for snoozing guests.